Those are the words I hear 99% of the time I wear this jumper. 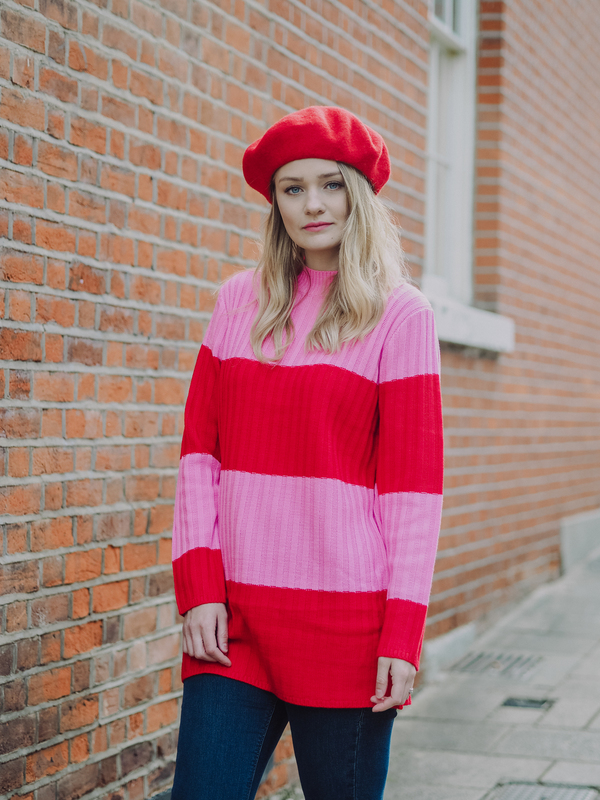 It’s currently the best item in my wardrobe for a self indulgent boost because everyone loves it and people tell me I look good when I wear it, online and off! Hey, if I have to wear this EVERYDAY just to feel fab, great and wonderful.. I will! So my BFF is a little ASOS buy, from a brand called E.L.K and it was a mere £35. 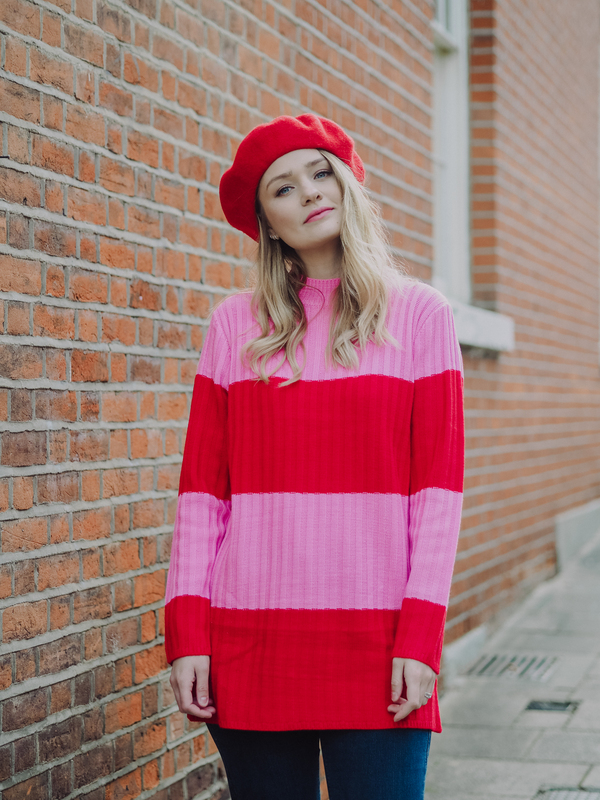 Admittedly it’s not the softest most luxurious material in the world but let’s face it – it’s the colours were interested in and can we really complain for thirty five quid?! 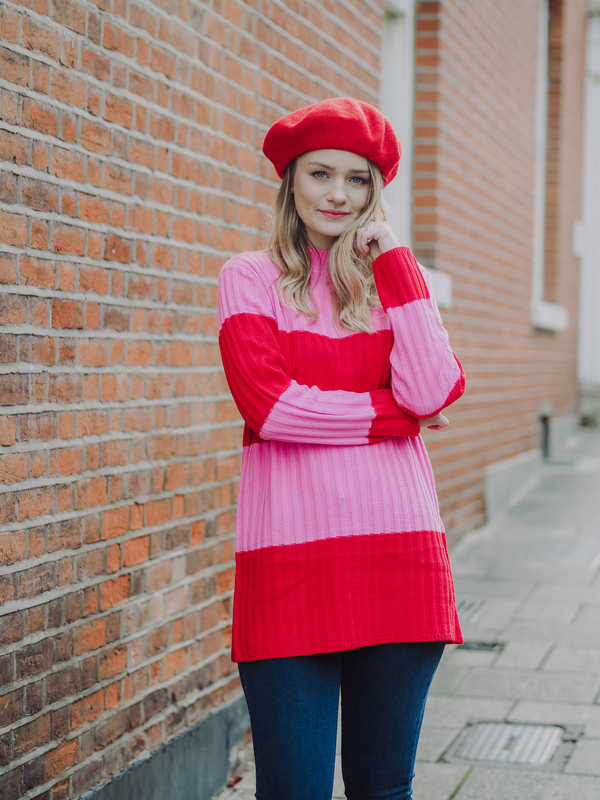 It’s a really nice length and is perfect for a cosy day with leggings (because it’s long enough to cover yo’ bum!) or wearing over jeans. 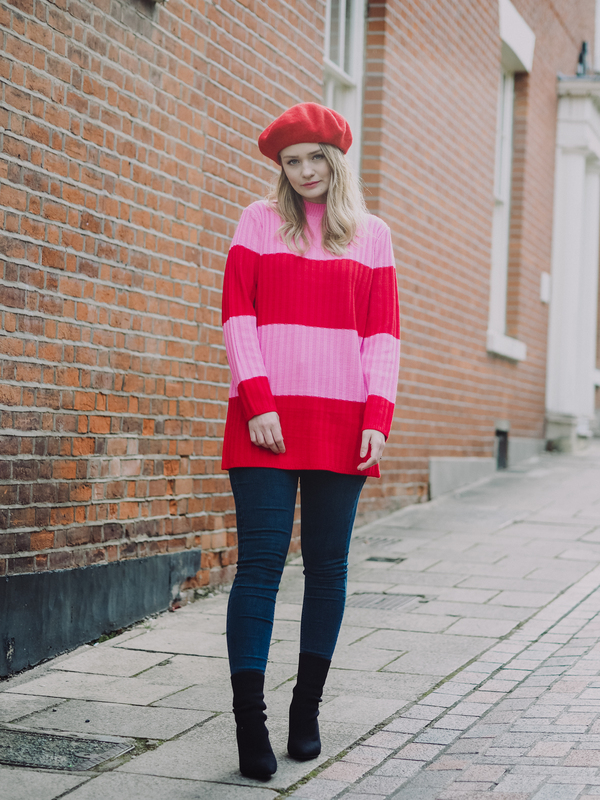 I paired it with my Topshop Joni jeans and my Missguided sock boots, which I’m loving but still need to master walking in. 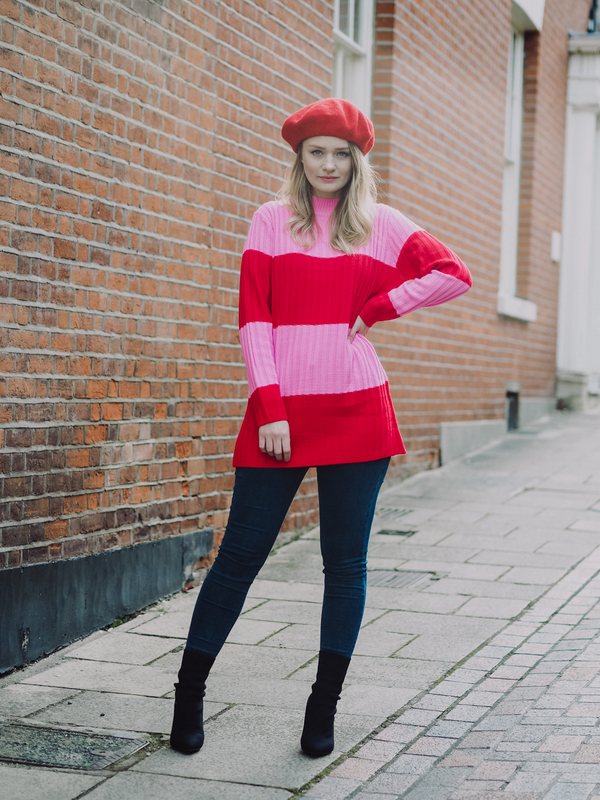 Oh and that red beret because I’m just loving being able to wear hats again. Yay, Autumn! 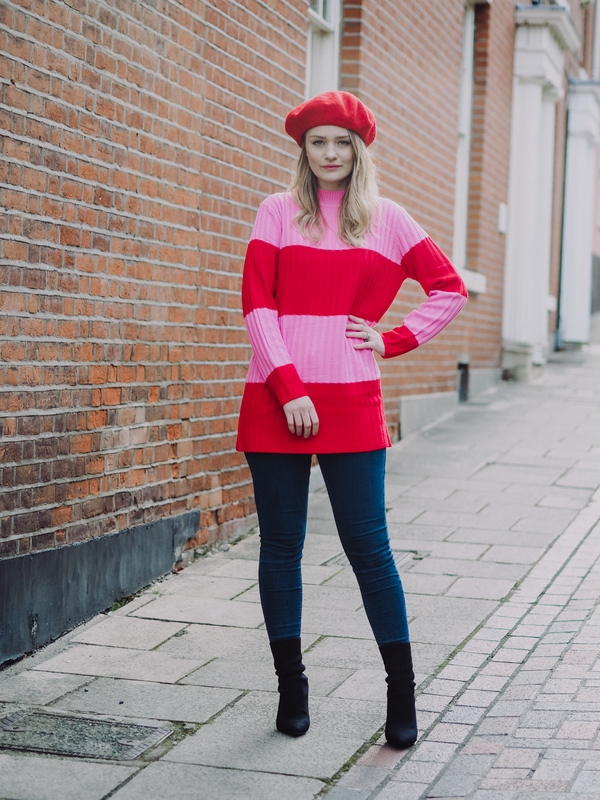 This jumper also made me realise that whilst I have never really put pink with red before, I actually really love how it looks and definitely think it’s a colour combo I will be sporting more often. So, what do you guys think? See more fashion posts, here! Beautiful! Love the tones! You look so cute!